New figures show that six in 10 rural businesses are suffering with the slow speed of their broadband, as the Federation of Small Businesses (FSB) calls for the majority of the countryside to have access to superfast broadband by 2015 to revitalise the rural economy. Countryside businesses and households have long had problems either accessing broadband or with slow speeds. The FSB's 'Voice of Small Business' Panel Survey shows that 63 percent of small firms are dissatisfied with the speed of their broadband connection. This compares to nearly half (48 percent) of businesses in urban areas, which is in itself is a quite a high figure, considering the recent pushes by broadband providers to fibre optic broadband. Another 34 percent of small rural firms said they are dissatisfied with the reliability and a quarter (24%) with the value for money. 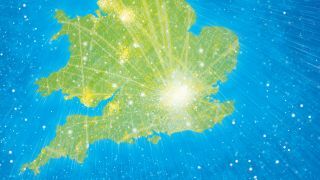 The Government has announced that it will create 10 super-connected cities by 2015 that will have ultrafast broadband speeds. While the FSB welcomes this move, it believes it doesn't go far enough and will only widen the digital divide between rural and urban businesses – especially since the same number of rural (85%) and urban (84%) businesses think their reliance on the internet will increase. In a new report, The missing links – revitalising our rural economy, the FSB is calling on the Government to rollout 20 Mbps superfast broadband to 98 per cent of rural communities and businesses. This would help to close the digital gap between rural and urban firms.